*All this Pinterest pic searching is giving me so many ideas for my future place! 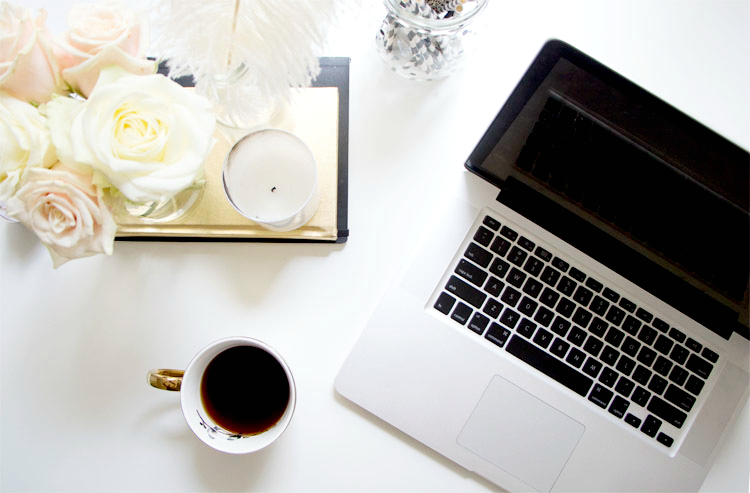 Bloggers block is thing that probably hits us all (unless you’re some sort of creative genius) so I wanted to dedicate a post with a few ideas to maybe help those who might be stuck! This will mostly be aimed at fashion and beauty bloggers, as you know I am one of them, but hopefully they can be applied to other bloggers too. One: Shop Your Stash | This is always a fairly popular style of post and I enjoy it for more than one reason. Firstly, you do get a post about rediscovering old favourites which is wonderful (and you can turn it into a series) but secondly, you discover more of your collection which can lead onto other blog posts. I always have a rake through my muji storage and hair/skincare drawers to see what I can find, as I can often come up with more than one idea while looking. Remember to jot them down though (as discussed in my blog tips post), as it really helps when you’re stuck in the future! Two: Numerical Posts | By this I mean ‘top 5′, ’10 favourites’ and that sort of thing, which I do feature a lot on this blog (including this post itself). If you’re a beauty blogger you might want to do something like top 5 lipsticks or nail polishes, or 10 most repurchased items, 3 ways to wear or 5 tips for the perfect base. You could mix it up and make it themed, such as 3 favourite pink blushes or something reflecting the season (ie. 5 summer beauty products you need). There’s plenty you can do with it and it can lead on to thinking about other posts too! Three: The Basics Are Good | If you’re stuck, you could always go back to the most blogged about topics, such as monthly favourites, empties or tag posts. Tag posts are a great way to know the person behind the blog and, from experience, I’ve found people always like to know what you’ve been loving this month. You can always get more creative with them too, adding themes or particular topics to posts to make them your own. Four: Add Something New | I recently added baking to my blog, which has inspired me a lot and I’ve found a new love for food photography (which I adore and am trying to improve). If you’re worried about sharing a new section of your blog, don’t be, just go for it and see what happens. If it’s a winner then that’s great, if it flops then think about ways to change it. Maybe add something more lifestyle based, like a DIY post or a meal you went out for. If you’ve got some advice to give, then jot it down, as I’ve found people really appreciate others trying to help. Adding something new really does shake things up a bit, plus you can always create it around your blog themes too, so it doesn’t have to be a completely different topic. I hope this helps those of your who may be suffering from a bit of bloggers block. I find once I start doing the above and thinking of topics, my brain jumps to the next idea and I eventually end up with a list of things I want to share! If you have any tips, do share them in the comments. Make sure you enter my £300 Rayban and beauty goodie bag giveaway!